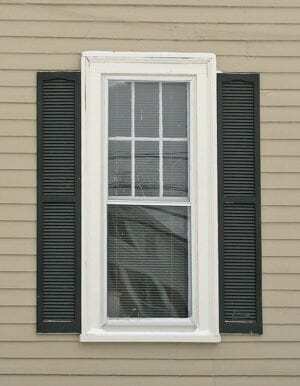 BAD: Shutters are mounted to sides of window and flat against siding. They look flat and cheap. No shadows. Good: Shutters are mounted on hinges on the window casing providing the appearance of being able to close. Depth and details are obvious. 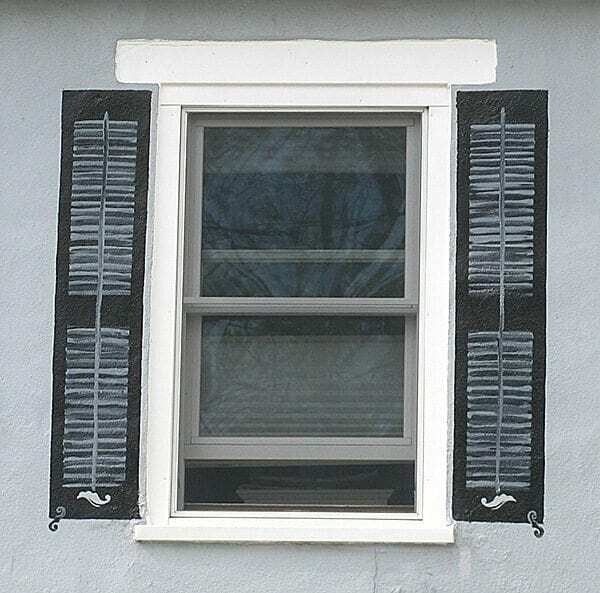 Bad: Fake plastic shutters. Better to have nothing. 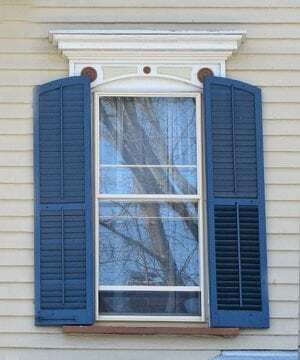 Good: Historic wood operable louver shutter. 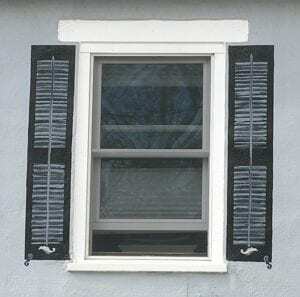 Cheap rectangular shutters. 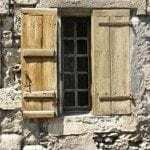 Better to have no shutters. The following photos are all from the same house. 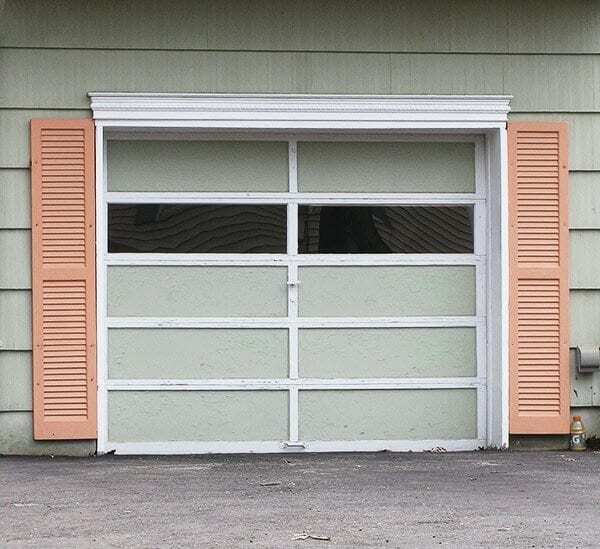 I guess the owner was either confused or had a short attention span because the shutters are hung three different ways. There are many windows on this house. Some are correct, but most are wrong. Hightstown NJ, is a very preservation minded town with some great buildings. Unfortunately, this house is the exception looking like a clown house with its drunken mixed up shutters. 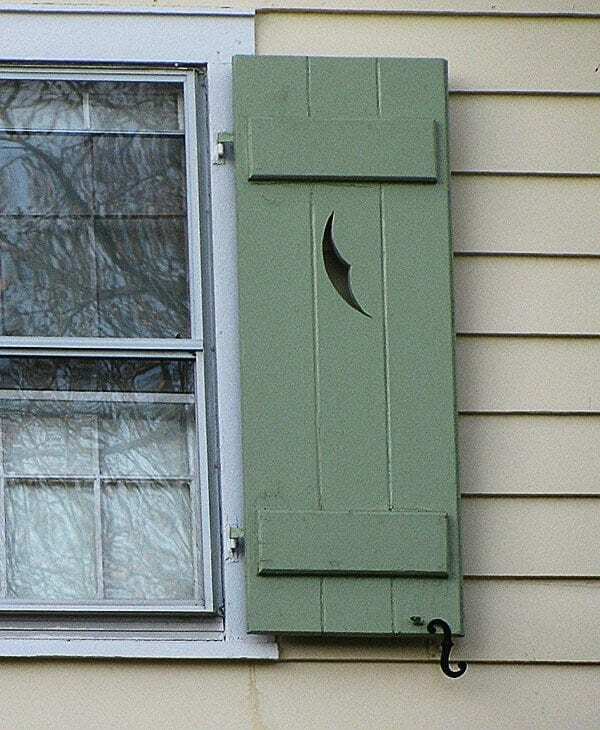 First to the right we have a perfectly hung shutter. Wood arched shutters with operable louvers. 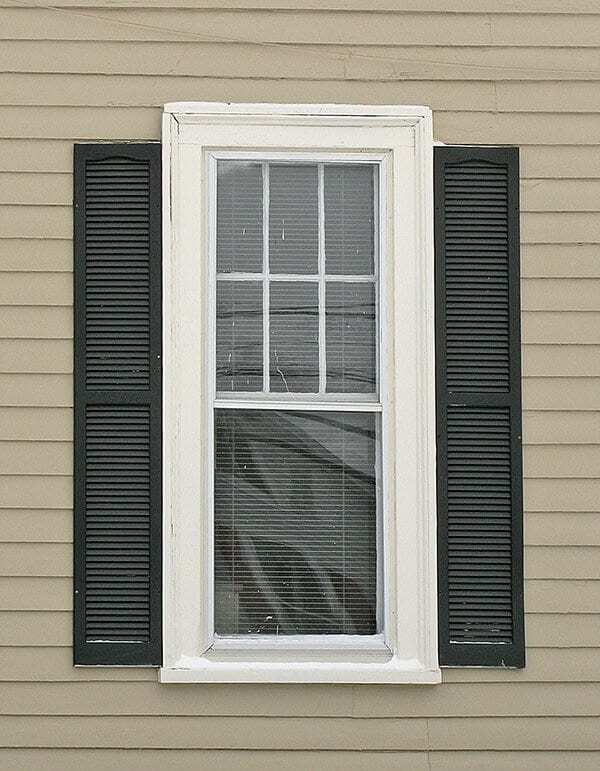 The shutters on this window are installed backwards. 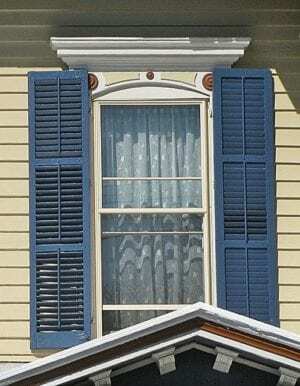 If the shutters were to close they would not fit into the arched shape of the window. 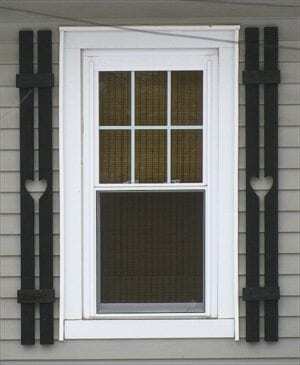 Here is another ridiculous looking window. 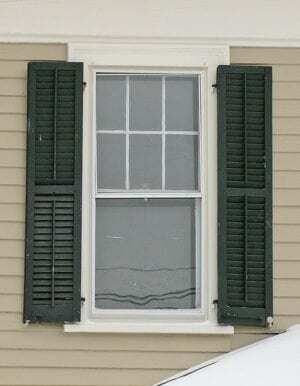 Rectangular shutters that are too tall on an arched window. One would question the integrity of this homeowner. Good: Arched shutters mounted correctly. 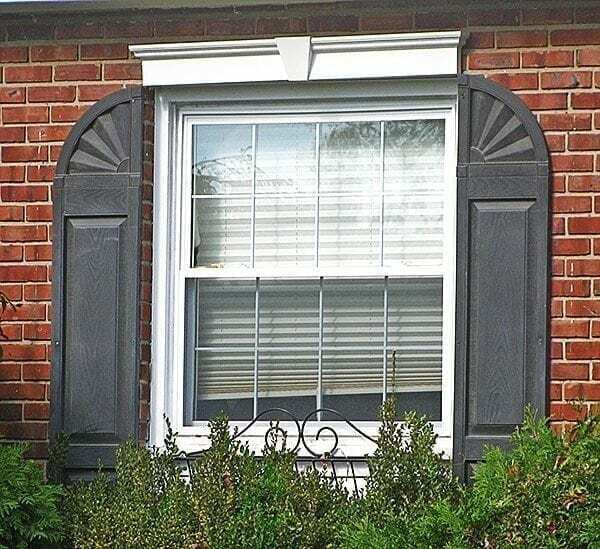 Bad: Arched shutters are hung backwards. Bad: Rectangular shutters on arched window. Wrong size. 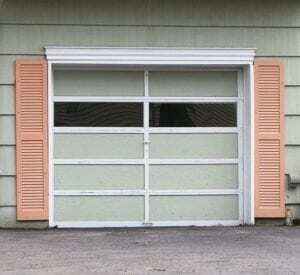 Bad: Wood operable louver shutters are mounted wrong making them look plastic. They are also the wrong size. 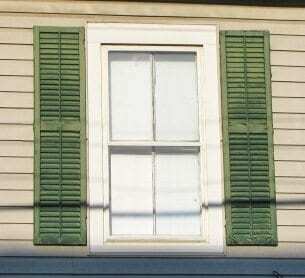 Perfect shutters. 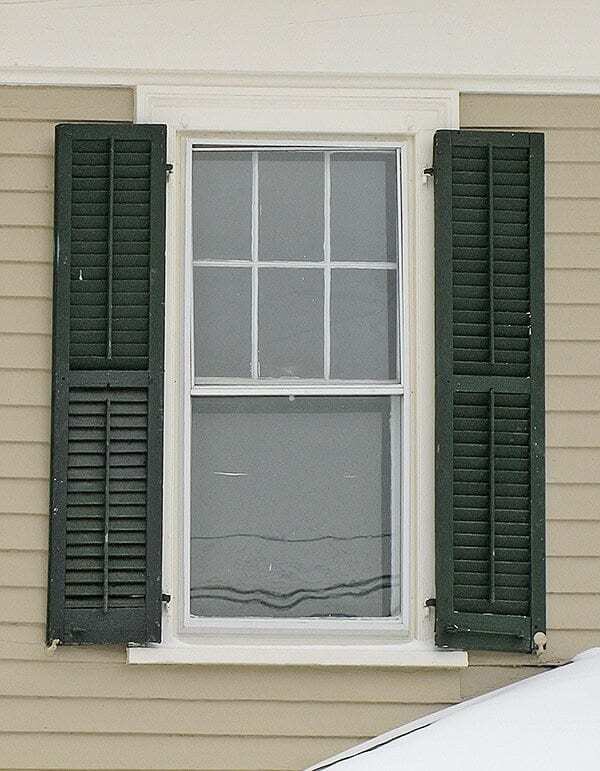 These shutters are similar to those on the left except they are mounted correctly. Notice the detail shadows make. 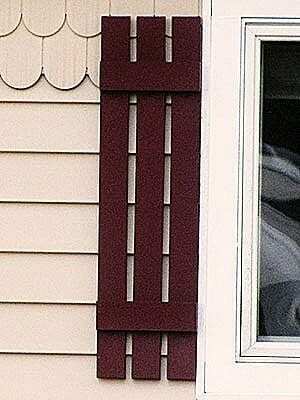 Bad: The perfect Board and Batten shutter for the deranged homeowner. 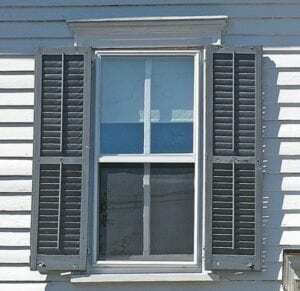 Good: This is a perfect Board and Batten shutter from the 1920’s. 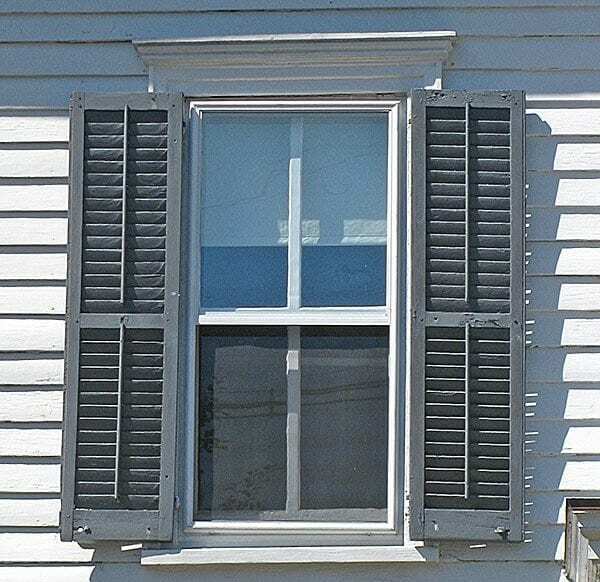 Board and Batten shutters are the oldest type of shutters. Use them on an 18th century cottage home. They made their comeback in the 1920’s with cutouts designs. NEVER EVER should they have spaces between the boards. 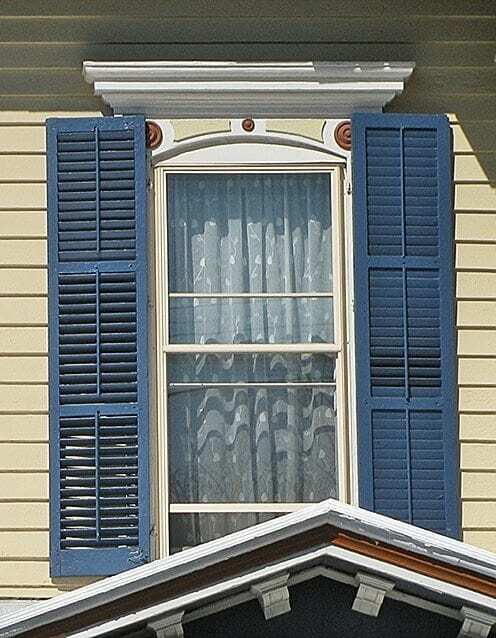 Homes with these shutters do not belong on this planet. Never should there be spaces between the boards. 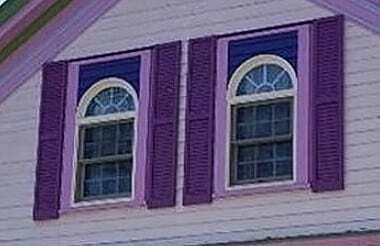 Bad: Painted shutters are the wrong size and in the wrong location. Shadows were not painted. Bad: Just when you think you saw it all. 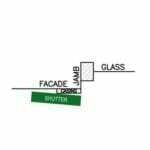 Glass shutter insanity. Where do these people come from? Bad: Guess the homeowner doesn’t know this is a garage. 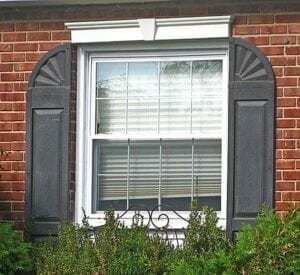 What’s next – shutters on a chimney? 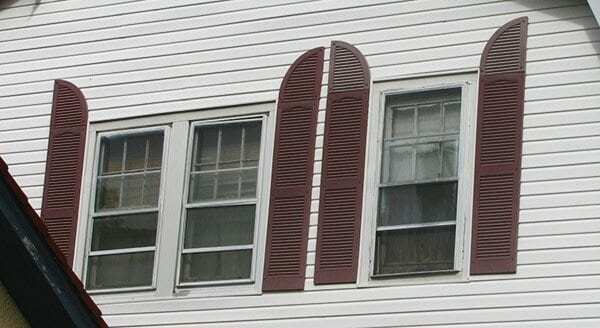 Bad: Backwards arched shutters on square window. Shutter insanity. Look closely. The homeowner attached shutter tops to make bunny ears. I’m more curious to see what the homeowners look like. These shutters are so wrong that the town put up a sign about them. The sided bay looks like a wart on this house and the shutters look like ears. Crazy people must live here. There is an epidemic of contractors AND homeowners destroying the character of homes as seen in the above examples. 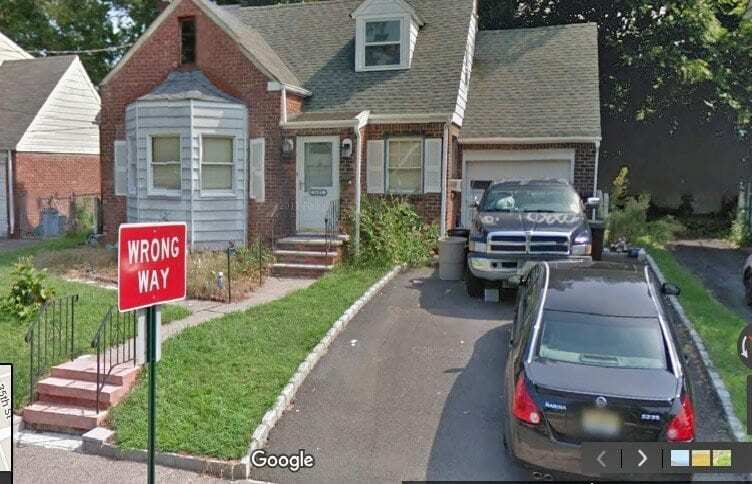 This incorrect way is now the standard! 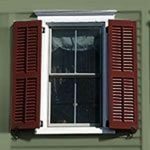 If shutters cannot be mounted properly, a house would be better without any at all; otherwise, they can ruin a house and even the neighborhood. As you drive down the street, begin paying attention to shutters and you will now see the difference. Can I make myself ? I guess you can try. I have a question. I have clark tip blind shutter hinges and the shutter fasteners that look like this https://www.vandykes.com/images/xl/02010514.jpg. How do you attach these to the shutter and the wall? I’m not sure which direction they should be mounted and/or which part goes on the shutter and which goes on the wall. I cant find any images of these mounted. I’m really not sure but I think the picture is upside down and the hook goes on the bottom of the shutter. I would call Van Dykes or a shutter company though to make sure. They are shutter locks not hinges. 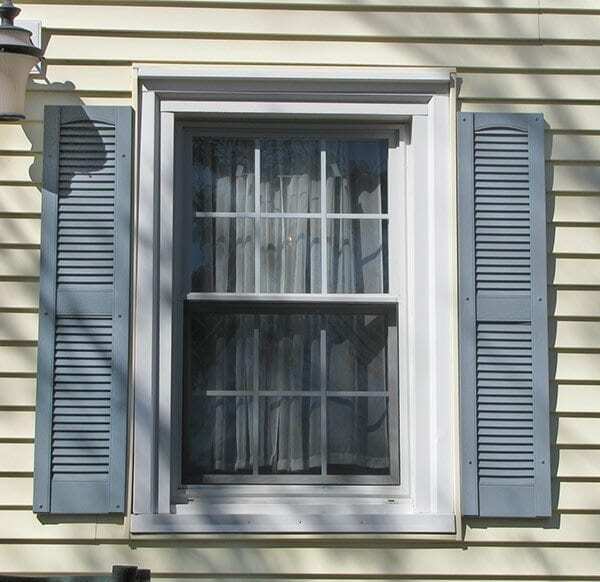 The left piece attaches to the shutter – the right on the exterior window sill. 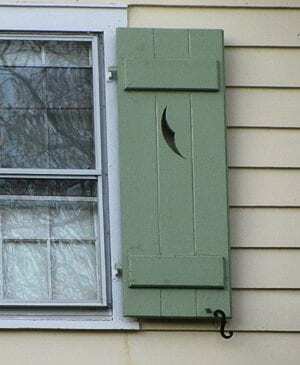 When the shutters close the latch engages the catch. This site has excellent information needed for anyone who even THINKS about remodeling or rehabbing a house. 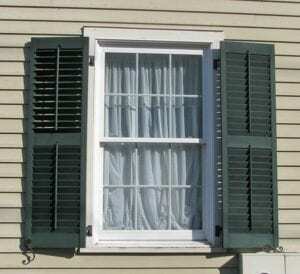 Shutters are huge pet peeve of mine..down here in Texas, the many builders have used tiny shutters on DOUBLE WIDE windows..it’s nuts. 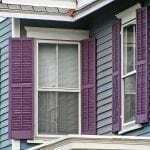 So many people hang them wrong, or buy them too large..Every single house I have purchased needed shutters removed or replaced with the correct sizes. Do you by chance do consultations? 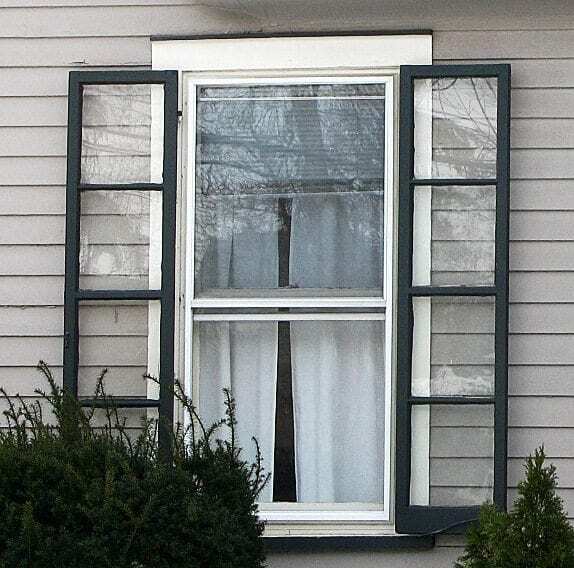 I’m looking at buying a 1930’s cottage..and I can tell the windows are wrong, shutters, porch, porch supports and skirting around the foundation are all off and makes the house look strange. And inside..omg, weird trim around windows and doors. I don’t think people realize the period appropriate trim and mouldings, etc. can actually enhance the appearance! Hi Susan, yes I do phone consultations. Go to the contact us on my website and send me a photo of your house. I’m wanting to paint my dark brick house with limestone to create a modern cottage looking effect. 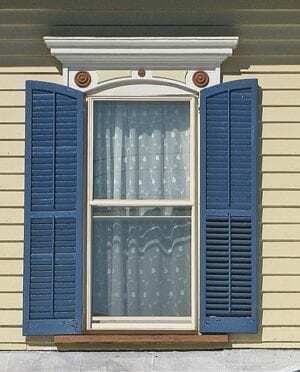 I’ve seen similar houses done like this and have noticed they add shutters to their windows. I see the huge difference the shutter can make in carrying the look of however my concern is the house has fairly modern windows. They are hatched with metal strips which will add to the effect I’m chasing- though they are very large windows so am thinking I will have to skip shutters. Any suggestions? Send me a pic to the contact us, of the full front of the house and I will see if shutters are a good idea. I’m going for a rustic “old Florida/Hemingway” look on the exterior of my house. 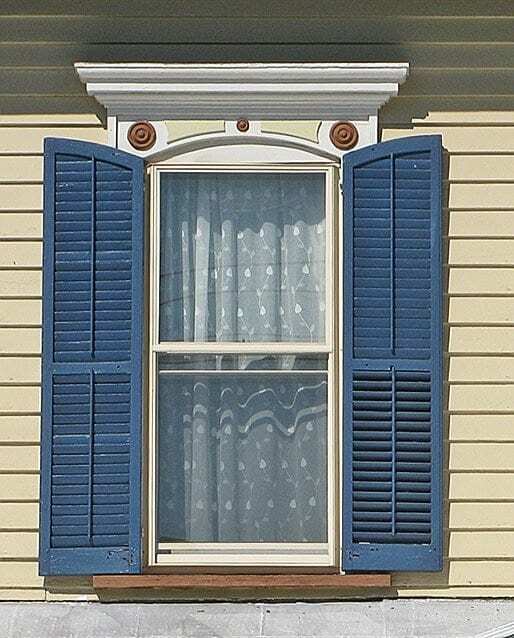 Does anyone make a faux wood grained window shutter that will with-stand conditions in FL? I want it to look like real wood, not a painted finish. The door companies have done a fairly good job with faux wood grain options. Thanks! Love your blog!! I never saw a shutter that looks like finished natural wood. Garage doors are different.